WATCH! Now you can let our professional editors custom create a video using your captured raw footage. Upload your video clips and fill out your online DISS order form and we'll put it together for you. You can add on-screen talent or voice-over talent, as well as music, titles, graphics and images. We even support 360 virtual reality images as well as UAV aerial video footage. Call us to learn more. Prices start at $99. ORDER NOW! Our video training spokesperson voiceover production service was developed to provide you with custom video to “infotain” your audience on your website, mobile device & social media. This video will give you a quick tour of how to order your custom video including live On-Camera spokes-model actors and pro voiceover talent. 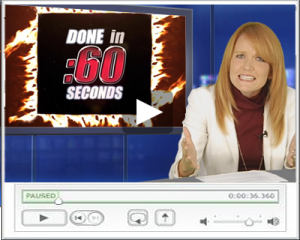 Choose graphics, music and images to create a fully customized video message. We guarantee 100% satisfaction on technical aspects of each video. ORDER NOW! WATCH! SAVE $$$ STAR in your video in 3 simple steps with our new virtYOU technology or use our spokesperson voice over video production service to order a custom video and help your organization reach your targeted audience. A major advantage of our system is the ability to order a video in as little as 20 minutes and have it produced in as few as 5 days for under $500. We also give you the ability to use your custom produced video anywhere: websites, mobile, trade-shows, on television, social media, mobile, DVD or with digital display advertising. 100% quality guarantee. Select the features you want & we produce it. Professional Made Easy. Insurance For Your Video Put your mind at ease, with DISS your video is never out of date. ORDER NOW! WATCH! Take advantage of our video training spokesperson voiceover production service search engine optimizing packages to promote your video and enhance your organization's online presence. Choose from among many popular social media sites including a custom YouTube account. Your website video is also available in a variety of full resolution formats. 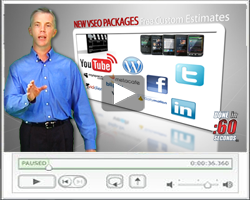 VSEO Packages offer wide distribution of your videos across multiple online video platforms. ORDER NOW!